Ogden on Politics: Are Calls for Eugene Snowden's Prosecution Based on His Leak Endangering National Security or His Leak Embarassing Public Officials? Are Calls for Eugene Snowden's Prosecution Based on His Leak Endangering National Security or His Leak Embarassing Public Officials? "ongoing, daily basis" to give the NSA information on all telephone calls in its systems, both within the US and between the US and other countries. Snowden provided the "Top Secret" court order to Guardian's reporters as well as possibly other information about the program. One thing struck me about the members of Congress and administration officials calling for Snowden's vigorous prosecution for having violated federal law in disclosing the order and the existence of the program. They appeared not to be acting out of concern that Americans were endangered or even that making public the existence of the program would blunt efforts to counter terrorism. Instead they seem motivated by the fact,that Snowden had embarrassed them publicly by making public the existence of a program that may well be unconstitutional or at least outside the range of what Congress had approved in the Patriot Act. Snowden exposed members of the congressional intelligence committees who were not doing their job which includes protecting people's civil liberties. 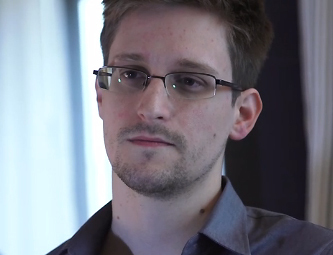 Now Congress should do what it can do and put a stop to any attempt to prosecute Snowden for his courageous action. Fine piece on Snowdon by the heroic Daniel Ellsberg. "In my estimation, there has not been in American history a more important leak than Edward Snowden's release of NSA material – and that definitely includes the Pentagon Papers 40 years ago." The Obama liberals are tongue-tied, for the most part. Aside from the anomaly of Vietnam, the international war state has been largely expanded and controlled by liberals since Woodrow Wilson.